Kālidāsa was a Classical Sanskrit writer, widely regarded as the greatest poet and dramatist in the Sanskrit language. His plays and poetry are primarily based on the Indian Puranas. 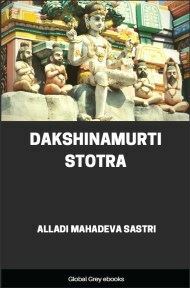 This book is a selection of his works, including Shakuntala, Malavika And Agnimitra, Urvashi, The Dynasty of Raghu, The Birth of the War-god, The Cloud-Messenger, and, The Seasons. KALIDASA probably lived in the fifth century of the Christian era. This date, approximate as it is, must yet be given with considerable hesitation, and is by no means certain. 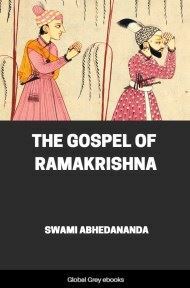 No truly biographical data are preserved about the author, who nevertheless enjoyed a great popularity during his life, and whom the Hindus have ever regarded as the greatest of Sanskrit poets. We are thus confronted with one of the remarkable problems of literary history. For our ignorance is not due to neglect of Kalidasa's writings on the part of his countrymen, but to their strange blindness in regard to the interest and importance of historic fact. No European nation can compare with India in critical devotion to its own literature. During a period to be reckoned not by centuries but by millenniums, there has been in India an unbroken line of savants unselfishly dedicated to the perpetuation and exegesis of the native masterpieces. Editions, recensions, commentaries abound; poets have sought the exact phrase of appreciation for their predecessors: yet when we seek to reconstruct the life of their greatest poet, we have no materials except certain tantalising legends, and such data as we can gather from the writings of a man who hardly mentions himself. One of these legends deserves to be recounted for its intrinsic interest, although it contains, so far as we can see, no grain of historic truth, and although it places Kalidasa in Benares, five hundred miles distant from the only city in which we certainly know that he spent a part of his life. According to this account, Kalidasa was a Brahman's child. At the age of six months he was left an orphan and was adopted by an ox-driver. He grew to manhood without formal education, yet with remarkable beauty and grace of manner. Now it happened that the Princess of Benares was a blue-stocking, who rejected one suitor after another, among them her father's counsellor, because they failed to reach her standard as scholars and poets. The rejected counsellor planned a cruel revenge. He took the handsome ox-driver from the street, gave him the garments of a savant and a retinue of learned doctors, then introduced him to the princess, after warning him that he was under no circumstances to open his lips. The princess was struck with his beauty and smitten to the depths of her pedantic soul by his obstinate silence, which seemed to her, as indeed it was, an evidence of profound wisdom. She desired to marry Kalidasa, and together they went to the temple. But no sooner was the ceremony performed than Kalidasa perceived an image of a bull. His early training was too much for him; the secret came out, and the bride was furious. But she relented in response to Kalidasa's entreaties, and advised him to pray for learning and poetry to the goddess Kali. The prayer was granted; education and poetical power descended miraculously to dwell with the young ox-driver, who in gratitude assumed the name Kalidasa, servant of Kali. Feeling that he owed this happy change in his very nature to his princess, he swore that he would ever treat her as his teacher, with profound respect but without familiarity. This was more than the lady had bargained for; her anger burst forth anew, and she cursed Kalidasa to meet his death at the hands of a woman. At a later date, the story continues, this curse was fulfilled. A certain king had written a half-stanza of verse, and had offered a large reward to any poet who could worthily complete it. 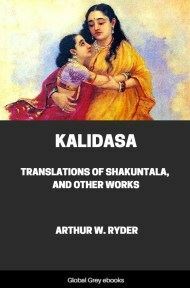 Kalidasa completed the stanza without difficulty; but a woman whom he loved discovered his lines, and greedy of the reward herself, killed him. 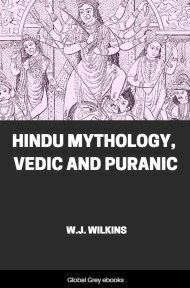 Another legend represents Kalidasa as engaging in a pilgrimage to a shrine of Vishnu in Southern India, in company with two other famous writers, Bhavabhuti and Dandin. Yet another pictures Bhavabhuti as a contemporary of Kalidasa, and jealous of the less austere poet's reputation. These stories must be untrue, for it is certain that the three authors were not contemporary, yet they show a true instinct in the belief that genius seeks genius, and is rarely isolated. This instinctive belief has been at work with the stories which connect Kalidasa with King Vikramaditya and the literary figures of his court. It has doubtless enlarged, perhaps partly falsified the facts; yet we cannot doubt that there is truth in this tradition, late though it be, and impossible though it may ever be to separate the actual from the fanciful. Here then we are on firmer ground. King Vikramaditya ruled in the city of Ujjain, in West-central India. He was mighty both in war and in peace, winning especial glory by a decisive victory over the barbarians who pressed into India through the northern passes. Though it has not proved possible to identify this monarch with any of the known rulers, there can be no doubt that he existed and had the character attributed to him. The name Vikramaditya--Sun of Valour--is probably not a proper name, but a title like Pharaoh or Tsar. No doubt Kalidasa intended to pay a tribute to his patron, the Sun of Valour, in the very title of his play, Urvashi won by Valour. King Vikramaditya was a great patron of learning and of poetry. Ujjain during his reign was the most brilliant capital in the world, nor has it to this day lost all the lustre shed upon it by that splendid court. Among the eminent men gathered there, nine were particularly distinguished, and these nine are known as the "nine gems." Some of the nine gems were poets, others represented science--astronomy, medicine, lexicography. It is quite true that the details of this late tradition concerning the nine gems are open to suspicion, yet the central fact is not doubtful: that there was at this time and place a great quickening of the human mind, an artistic impulse creating works that cannot perish. Ujjain in the days of Vikramaditya stands worthily beside Athens, Rome, Florence, and London in their great centuries. Here is the substantial fact behind Max Müller's often ridiculed theory of the renaissance of Sanskrit literature. 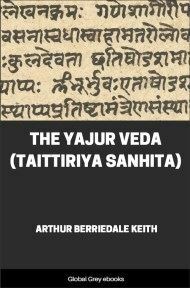 It is quite false to suppose, as some appear to do, that this theory has been invalidated by the discovery of certain literary products which antedate Kalidasa. It might even be said that those rare and happy centuries that see a man as great as Homer or Vergil or Kalidasa or Shakespeare partake in that one man of a renaissance.